Bradley Cooper and Patricia Clarkson deliver show stopping performances. When I visited Broadway in October 2014, Elephant Man posters were adorning the city in abundance. Whilst I have to admit that what drew my attention to the posters was the face of one of my favourite film actors, Bradley Cooper, the show intrigued me as it seemed different to any of the body of the work we had in London at the time. Imagine my delight on hearing this critically acclaimed show was to be heading to the West End! Elephant Man has been a labour of love for Cooper, who has not only publicly expressed his interest in the role of John Merrick (the “Elephant Man”) but also his admiration for his strength and the great responsibility he feels to do right by him. Of course, he does exactly that. Denying all prosthetics, Cooper physically transforms into the Elephant Man by twisting and contorting his body and rasping his speech. The result is both splendid and saddening; there is no trace of Hollywood Cooper, instead we see a deeply deformed man struggling through life whilst attempting to milk it for all its joy. Brava Bradley! After the initial thrill of Cooper’s presence, it becomes very clear that he is not the only star on stage. I was taken aback by Patricia Clarkson’s astute performance as Mrs. Kendal, an actress hired by Merrick’s doctor Frederick Treves. Clarkson expressed grace and compassion when interacting with a socially repulsive man and in him found some small reflections of herself. As a powerful, witty and beautiful lady (who interestingly is no spring chicken,) Clarkson’s tender interactions with Cooper are some of the most powerful scenes in the show. 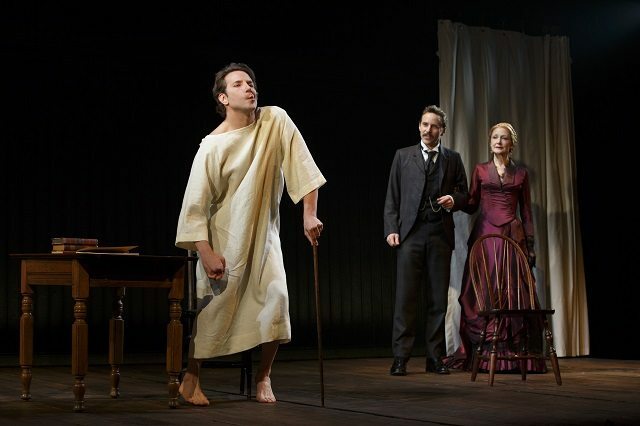 Treves, portrayed by Tony nominated Alessandro Nivola, is written somewhat clinically, as are large sections of the play. Whilst this is performed to high effect in some scenes, such as the purposefully frank discussion of Merrick’s deformities (“skin like cauliflower… fingers like thick tuberous roots”) I found myself waiting for an emotional shift towards the end of the piece that never quite came. Clinical is perhaps the best word to describe the lasting impression of the piece directed by Scott Ellis, who presents the show in somewhat of a matter of fact manner. Whilst this serves to highlight Merrick’s situation and pulls nicely at the medical themes, I found myself wanting just a little bit more heart – something I reveled in all to briefly in the Merrick/Kendal exchanges. There is no doubt that Elephant Man is a special show with an outstanding lead cast. However, rather like Merrick's life, the moments of joy were just a touch too brief and I was left aching for a deeper connection with this rather marvelous man. 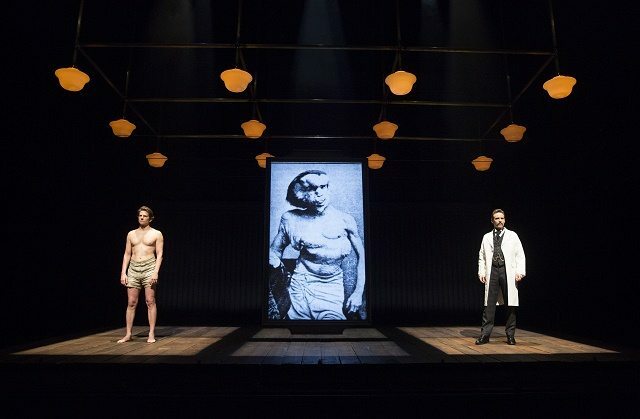 Elephant Man runs at the Theatre Royal Haymarket until Saturday 8th August 2015. 1 June 2015 - Bradley Cooper and Patricia Clarkson deliver show stopping performances.